The images above are taken from “Take The ACE Quiz — And Learn What It Does And Doesn’t Mean” (NPR, March 2, 2015). Go to the article for a quick link to determine your own score. You can also review this printable version of the questions. 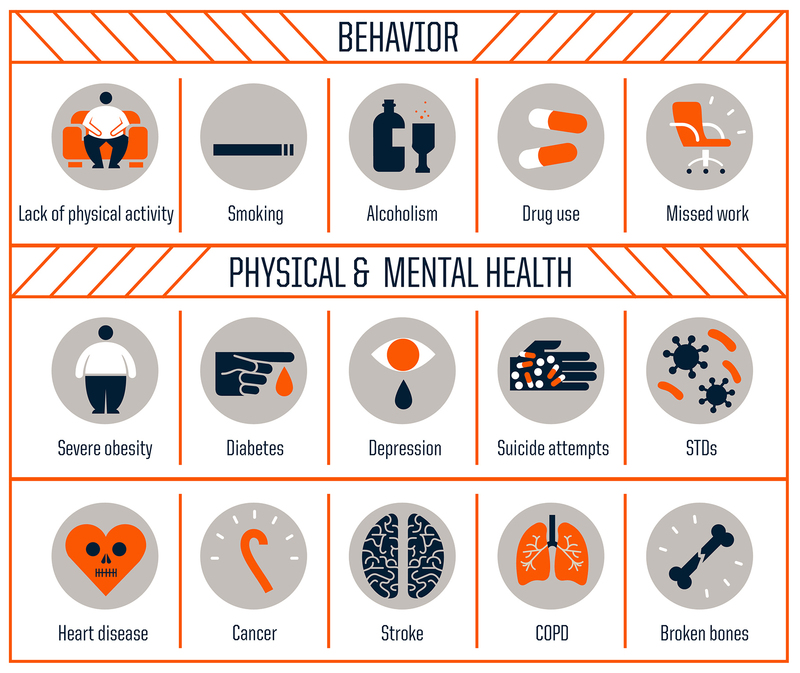 ACEs came to attention through the CDC-Kaiser Adverse Childhood Experiences Study, a groundbreaking public health study that discovered that childhood trauma leads to the adult onset of chronic diseases, depression and other mental illness, violence and being a victim of violence, as well as financial and social problems. The ACE Study has published about 70 research papers since 1998. Hundreds of additional research papers based on the ACE Study have also been published. 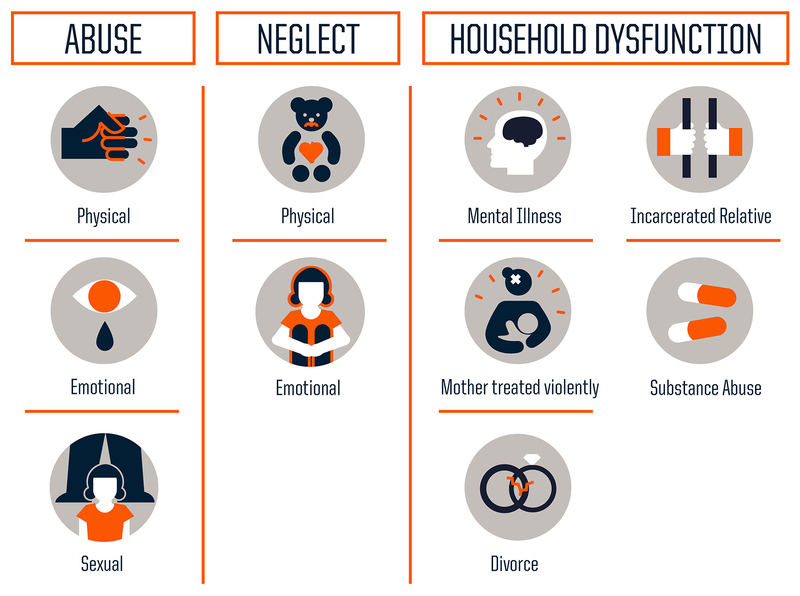 Subsequent to the original ACE Study, other ACE surveys have expanded the types of ACEs to include witnessing a sibling being abused, witnessing violence outside the home, witnessing a father being abused by a mother, being bullied by a peer or adult, involvement with the foster care system, living in a war zone, living in an unsafe neighborhood, losing a family member to deportation, etc. The link between ACEs and Toxic Stress is described well by the Harvard University Center on the Developing Child.